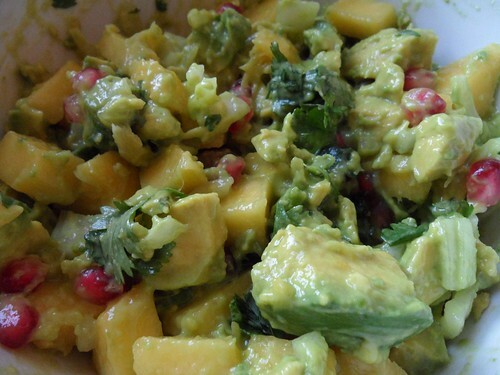 Love guacamole and feeling a little adventurous? 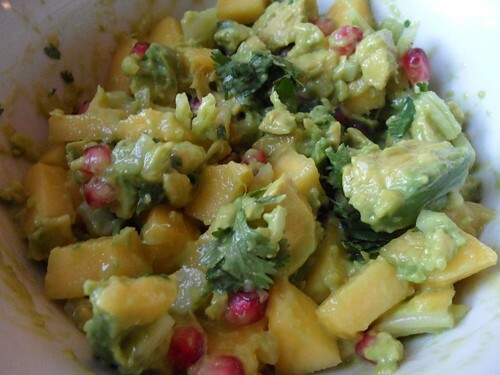 This recipe provides edgy and colourful twists that are likely to please all those who appreciate mashed avocados. 1. 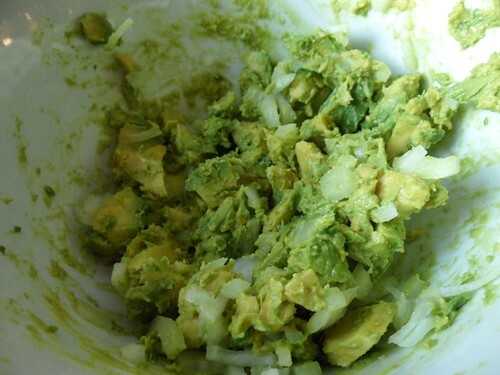 Add chopped avocado to bowl and mash it with fork (we like it on the chunky side so we only mash a little bit). Add your onions and mix. 2. 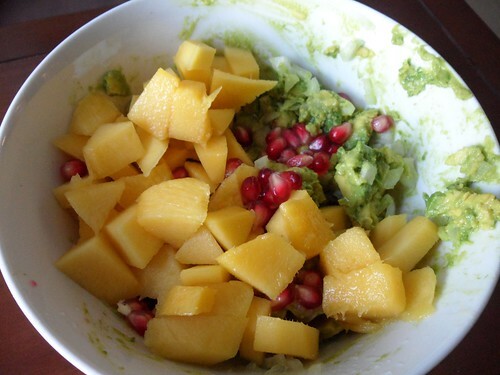 Add mango and pomegranate seeds, mix. 3. Add serrano chilli, cilantro, lime juice and sea salt, stir. 4. Chill for an hour before serving. Some pairing options are raw veggies, rice, or plantain crackers, though you can enjoy this lovely guacamole with anything you please. Enjoy! Please note: If you wish to print just the ingredients and directions for this recipe, please copy the details below and paste them into word processing software of your choice for easy printing.